In the name of the servicemen who sacrificed their lives, so that we could live one worthwhile! 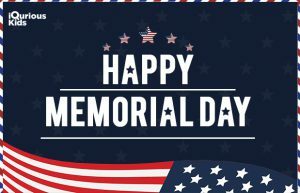 – Happy Memorial Day weekend! In the name of the servicemen who sacrificed their lives, so that we could live one worthwhile! Hope you make a difference too and teach your kids the importance of Memorial Day. Have a happy one! Next article Camp Invention: A STEM Summer Camp for Texas Kids!